Mariss Jansons is considered one of the most outstanding podium personalities of our time. Born in 1943 in Riga as the son of the conductor Arvīds Jansons, he completed his musical education (violin, piano, conducting) at the Leningrad Conservatory and passed with distinction. 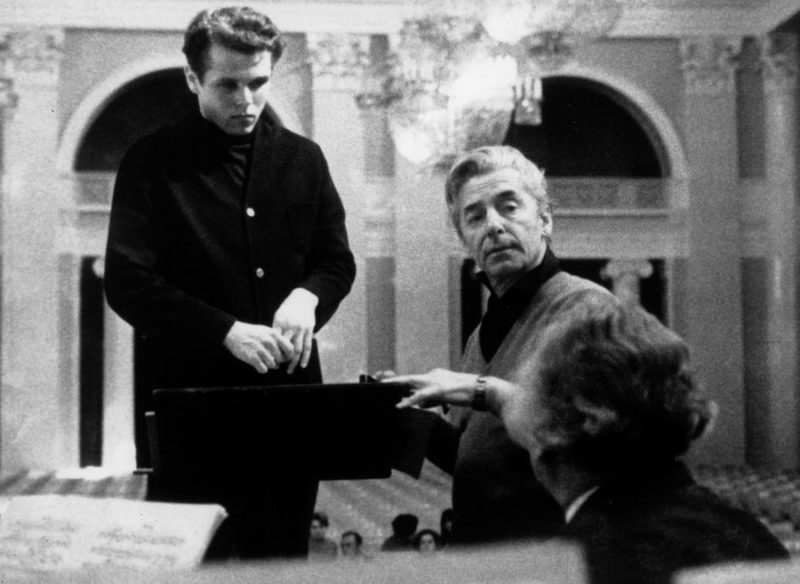 Afterwards he studied in Vienna under Hans Swarowsky and in Salzburg under Herbert von Karajan. In 1971 he won a prize at the Conducting Competition of the “Herbert von Karajan Foundation” in Berlin. That same year Evgeny Mravinsky made him his assistant with the Leningrad Philharmonic, today’s St. Petersburg Philharmonic. He remained closely connected with this orchestra as a regular conductor until 1999. 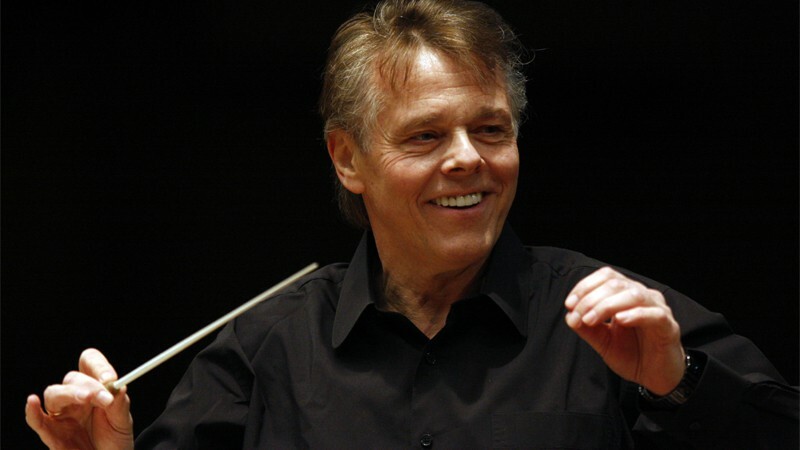 Since 2003, Mariss Jansons has been the Chief Conductor of the Symphonieorchester des Bayerischen Rundfunks (BRSO). In autumn of 2004, he also assumed the post of Chief Conductor of the Koninklijk Concertgebouworkest in Amsterdam. Apart from his two regular orchestras, he also works regularly with the Berlin and Vienna Philharmonic Orchestras. In late April of 2014, Jansons announced that he would allow his contract with the Concertgebouworkest to expire at the end of the season 2014/15. His contract with Chor und Symphonieorchester des Bayerischen Rundfunks will be extended until 2024. Mariss Jansons has made guest appearances with the BRSO and the Koninklijk Concertgebouworkest in virtually every musical capital and festival city in the world. The first joined tour with the Symphonieorchester des Bayerischen Rundfunks to China and Japan took place in autumn of 2005. The concerts were hailed by the Japanese press, with the accolade of “Best Concerts of the Season”. In 2012 the society of Japanese music journalists announced the cycle of all Beethoven Symphonies he performed with the BRSO to be the best concerts by foreign musicians in Japan that year. The BRSO and Mariss Jansons make regular appearances as Orchestra in Residence at the Easter Festival in Lucerne. To collaborate and work with young musicians has a special significance for Mariss Jansons. He has conducted the Gustav Mahler Youth Orchestra on a European Tour and worked with the Attersee Institute Orchestra, with which he has appeared at the Salzburg Festival. In Munich he has given regular concerts with various Bavarian youth orchestras and with the Academy of the Symphonieorchester des Bayerischen Rundfunks. The numerous CD and DVD recordings Mariss Jansons has made up to today with the Chor und Symphonieorchester des Bayerischen Rundfunks document his wide-ranging repertoire: in 2005, for example, he concluded his recording of the complete symphonies by Shostakovich, in which different orchestras were involved, and which was completed by the BRSO. In February of 2006 his recording of the 13th Symphony won a GRAMMY in the category “Best Orchestral Performance”. The box with all the symphonies, released in the summer of 2006, was awarded a number of prizes. The ECHO Klassik honored Mariss Jansons in 2007 as “Conductor of the Year” and in 2008, his recording of Béla Bartok’s “Concerto for Orchestra” and “A csodolátos mandarin” (The Miraculous Mandarin) as well as the Suite No. 2 from Ravel’s “Daphnis et Chloé” received the accolade, “Best Recoding of the Year”. The Symphonieorchester des Bayerischen Rundfunks under Jansons’s direction won the “Orchestra of the Year” award at ECHO-Klassik 2010 for their recording of Bruckner’s 7th Symphony. Mariss Jansons’ list of the entire accolades is long and mirrors his achievements for culture and art. Among these he was awarded the Norwegian “Royal Order of Merit”, the Austrian “Cross of Honor for Scholarship and Art”, the “Three Stars” Medal of the Republic of Latvia and he received the Bavarian “Order of Maximilian”. In 2013 he was awarded the German “Federal Cross of Merit, 1st Class”, was made a “Knight of the Lion of the Netherlands” and appointed “Commandeur des Arts et des Lettres”, the highest cultural award of the French Republic. For his life achievement Mariss Jansons was honored with the “Latvian Great Music Award” which is the country’s most important artistic recognition. In November 2017 one of classical music’s highest honours, the Royal Philharmonic Society Gold Medal, has been awarded to the Latvian conductor Mariss Jansons. He became the 104th recipient since the medal was founded in 1870. In March 2018, Mariss Jansons received the Léonie Sonning Music Prize, Denmark’s highest musical award. He received a honorary membership by the Vienna Philharmonic in June 2018 during his 110th conducting of this orchestra. Seiji Ozawa, Georges Prêtre, Leonard Bernstein and Nikolaus Harnoncourt received this award before among others. During the Salzburg Festival in 2018, he was awarded with the Festival Brooch with rubies. As part of the Salzburg Easter Festival 2019, Mariss Jansons received the Herbert von Karajan Prize.